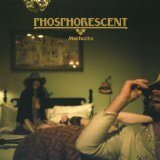 Matthew Houck has released six albums as Phosphorescent but it was the last one, 2010’s Here’s to Taking it Easy, that gained the project more widespread attention. Originally from Alabama, Houck now makes his home in the very trendy Brooklyn borough. While he fits in well with the NY hipsters fashion wise, musically Houck has far more in common with Willie Nelson whom he paid tribute to with an album of covers in 2009 with To Willie. Born out of a failed relationship and losing his home in the aftermath of the last tour, new album Muchacho wears those scars on its sleeve. After a Beatlesque “Sun King” like introduction, “Song for Zula” shows where Houck’s head when he intones that “I saw love disfigure me”. You can practically feel a lump form in your throat when the horns come in on “Muchacho’s Tune” while the raucous chorus of “A Charm/A Blade” is an absolute joy. There is definitely some truth to the knowing line in “Down to Go” when Houck sings, “you say, ‘oh, you’ll spin your heartache into gold’”. For several albums in a row, Phosphorescent has done just that. 2013 has seen many great albums released and Muchacho is definitely one of the highlights.